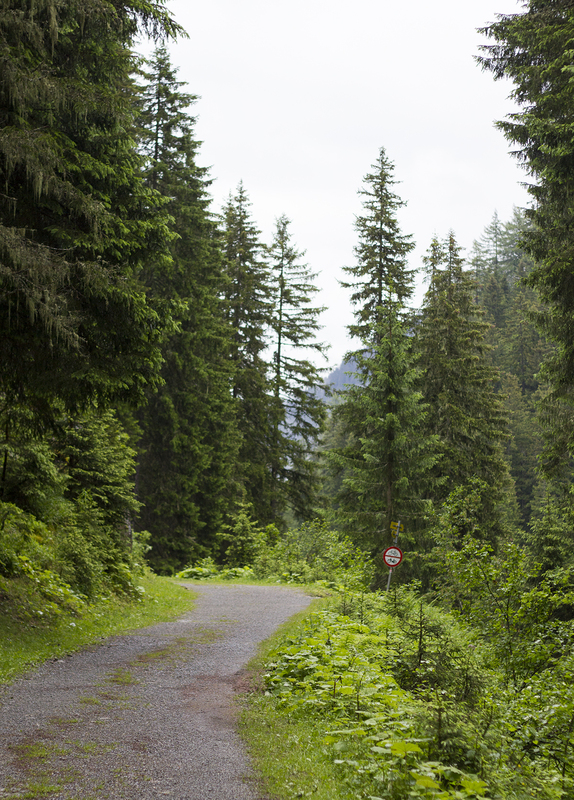 After a truly enjoyable ebiking experience in St Anton, exploring the lakes and forests of the Austrian Alps, I really didn’t need another reason to grab my backpack and explore the area even further. 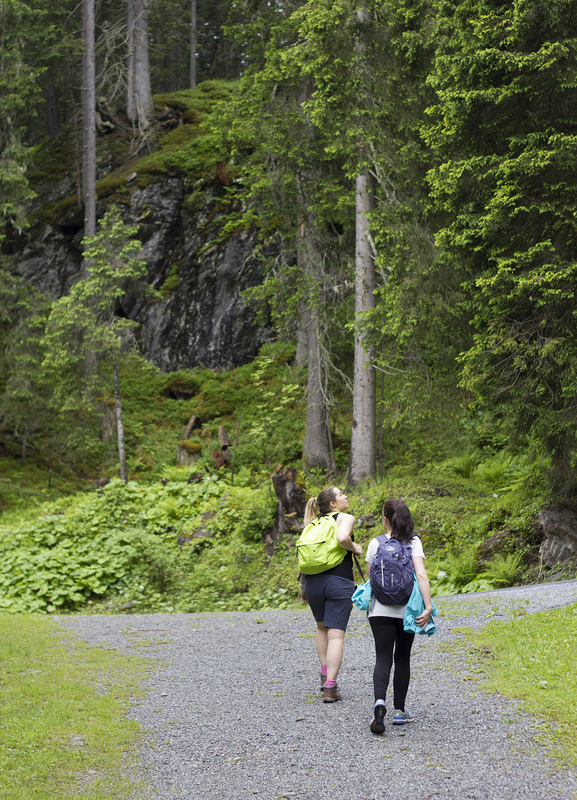 Thankfully, we had some more exploring penciled into our time in St Anton and took full advantage of a guided hiking tour as part of our St Anton Summer Card. The hike was led by none other than Niki of Niki’s Wein Bar, whose restaurant I featured in my post about places to eat in St Anton. Although I didn’t realise this until later in the hike when I was raving about “the best Kaiserschmarren in St Anton at Niki’s Wein Bar” right to the man himself. Massive face palm moment. As with skiing, it’s really great to explore with a guide because they can take you via all the best sights and scenery, whilst also taking you off the beaten track without getting lost! Despite forecasts of rain throughout the few days we visited, we actually managed to dodge any rainfall and enjoyed some pretty ideal weather for the hike. Although sunshine is always preferred, I think it would’ve made the hike much more difficult with heat added into the mix. The key for us was wearing light layers, particularly with the weather being quite humid but unpredictable. I wore hiking boots, breathable gym leggings, a vest and a jumper, with a thin waterproof jacket packed into my backpack for any unexpected rainfall. 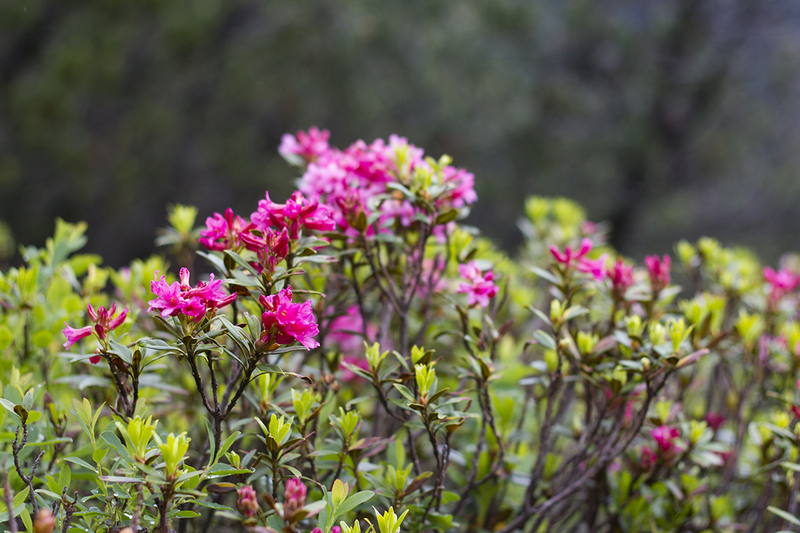 It can get quite nippy the higher you climb, so be prepared for all types of weather. 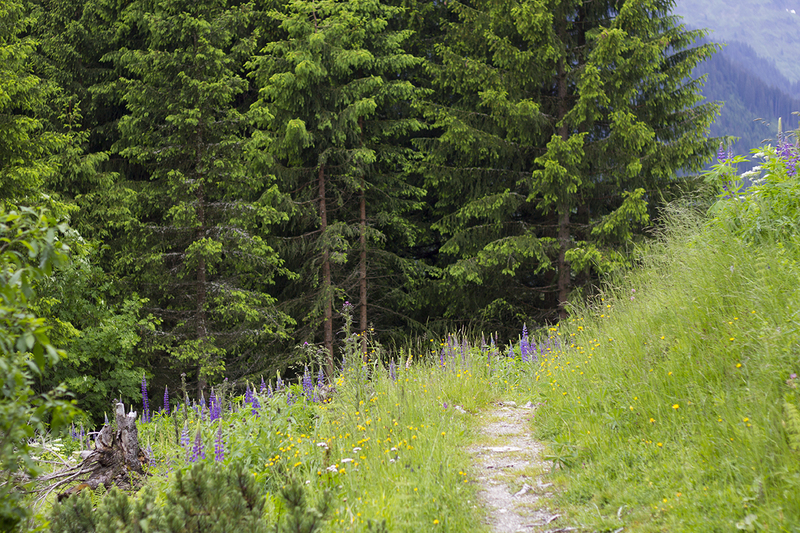 The hikes are scheduled in the weekly programme and take around 4 hours, so they’re a great way to kick-start your day in St Anton. 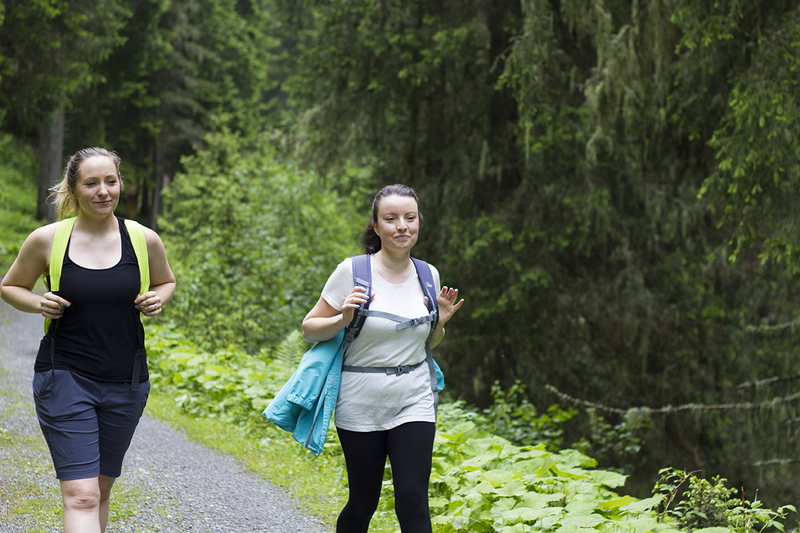 Make sure you have a big breakfast and pack some water & snacks though, as it’s certainly not a leisurely stroll! After a challenging climb and subsequent descent, we found ourselves taking a pit stop at a local mountain top restaurant called Senn Hutte that served our favourite alpine dish, Tiroler Gröstl. We made full use of the free wifi whilst scoffing our food, drinking cups of coffee and finishing off with Kaiserschmarren and apple strudel. 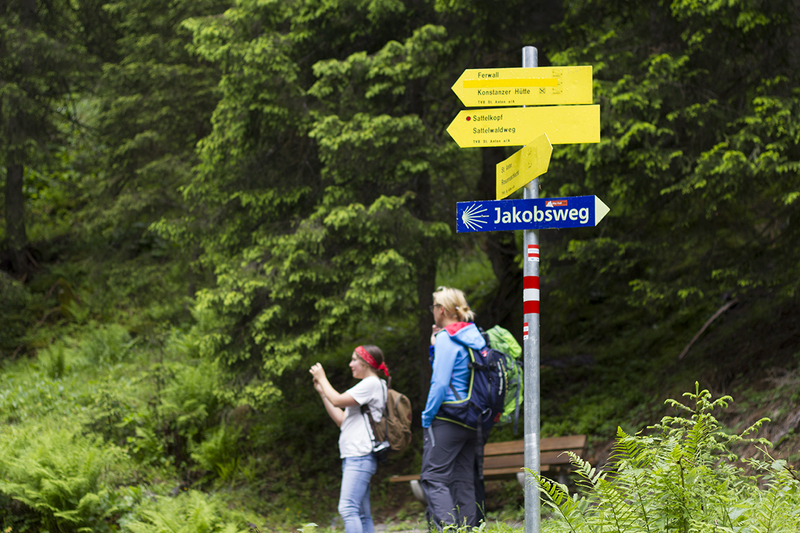 The route we took, which is a very small part of the Jakobsweg pilgrimage, was tiring but full of rewards. 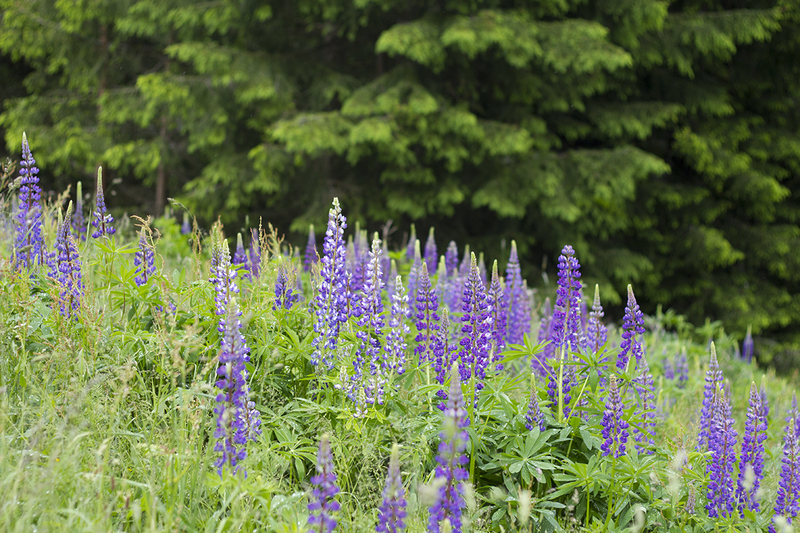 We saw the most beautiful alpine flowers, tiny little salamanders, the smallest chapel I’ve ever come across and plenty of breathtaking mountain views. 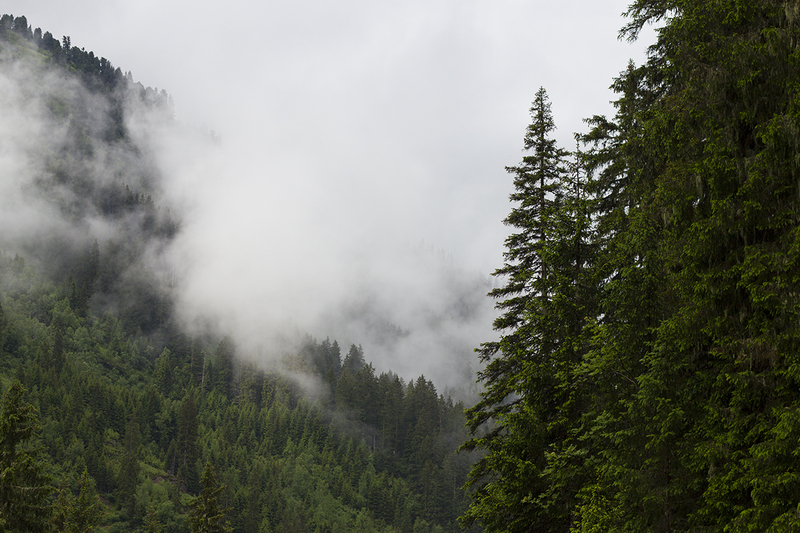 Once we arrived all the way back to our hotel, we felt tired but reinvigorated from the fresh alpine air. 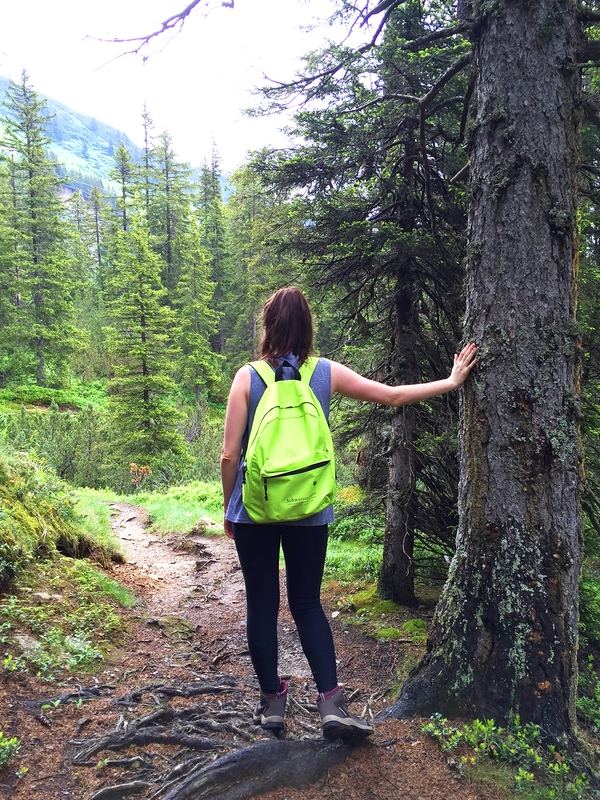 As a city girl for the past few years, I particularly enjoyed the hiking experience as the air was so pure and clean. And the best part? 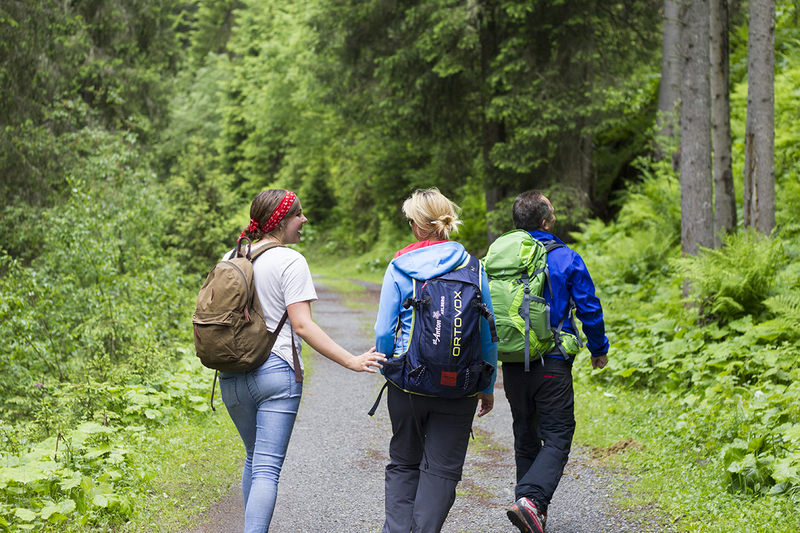 You can go on a guided hiking tour for free as part of the St Anton Summer Card, which you can get on the first day of your holiday in St Anton complimentary of your host. 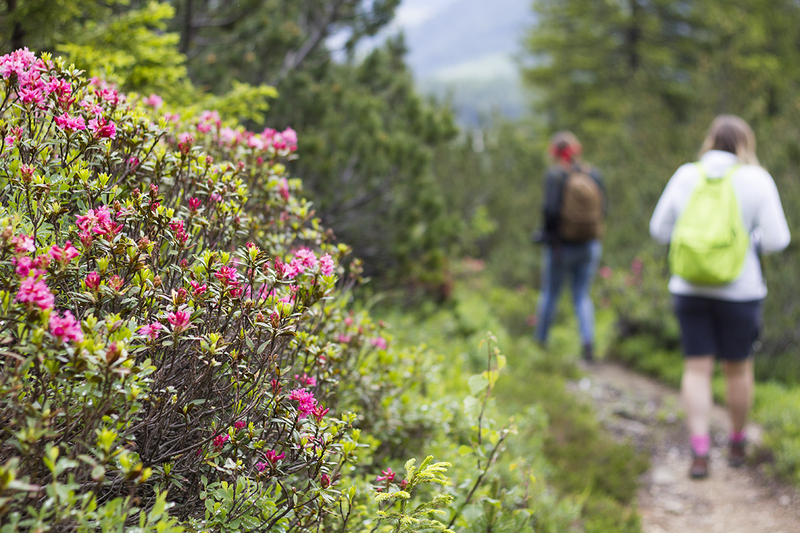 There’s absolutely no excuse not to grab your backpack and explore the mountains! 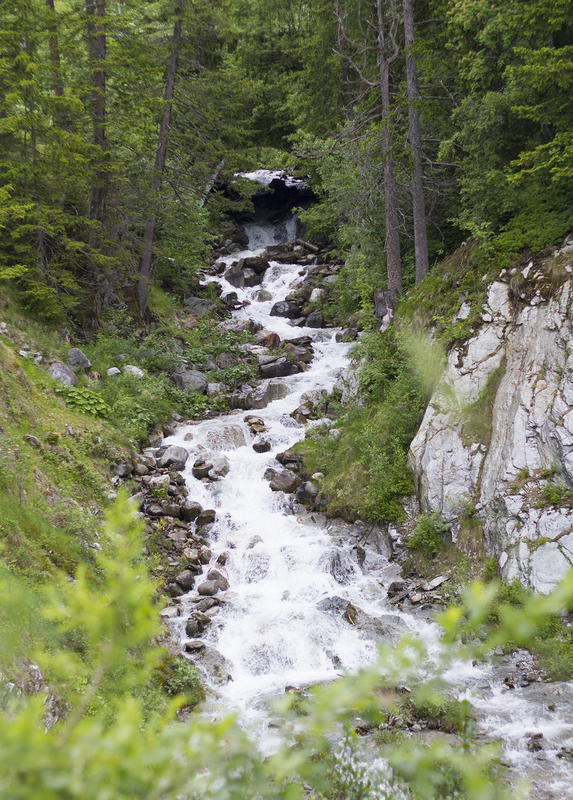 Disclosure: My trip to St Anton was complimentary of the Visit Tirol and St Anton tourist boards but as always, all thoughts & opinions are my very own. 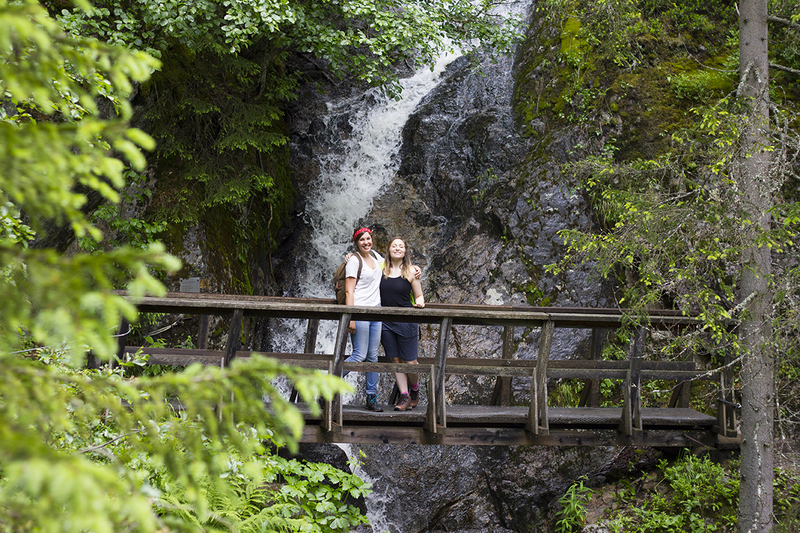 Where are your favourite places to go hiking? Let me know in the comments below!